Season after season, wavy hair is in. Soft, boho beach waves to be specific! With so many of you requesting waves, we have come up with a new hair styling service to offer you just that- waves, waves and waves. 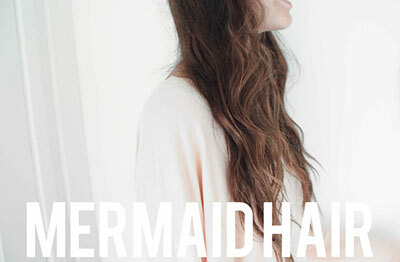 Leave our salon with mermaid-worthy hair, and make a splash! Sorry, clam shell bra not included. A shampoo/blowdry is included.